Karl King Band board members are seen presenting a Service Award plaque to Carl Tim Pray who performed in the band from age 18 to age 81. 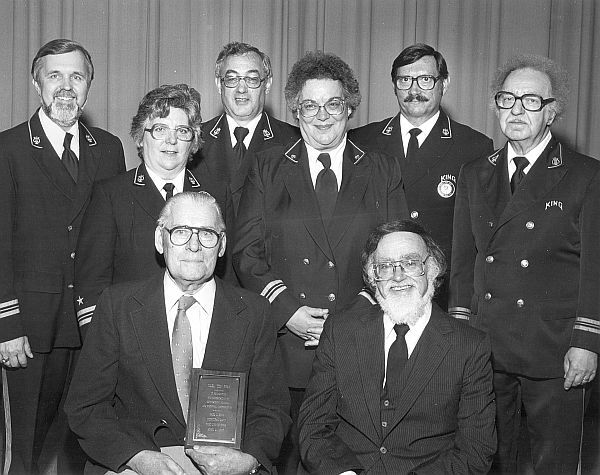 Pictured in front are Carl Pray and Reggie Schive, conductor. In the back from left are Ross Leeper, Ardella Hein, Keith Altemeier, Phyllis Phillips, Duane Olson, and Arnold Bode. 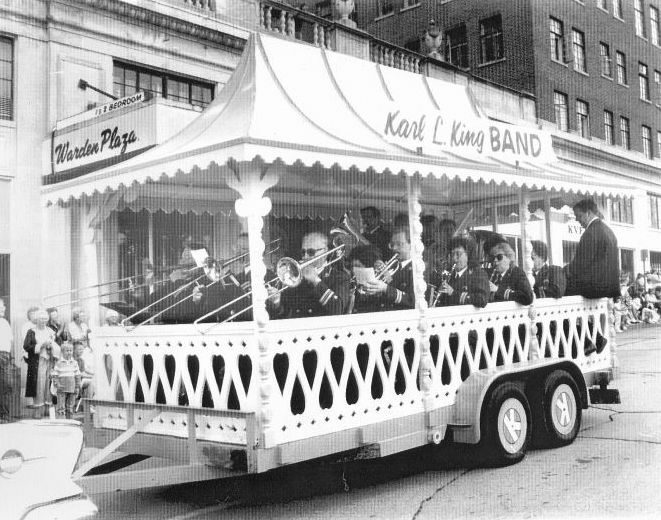 Performing in a circus tent parade float for the 1990 Frontier Days parade. Notice the IPTV camera behind the trombone players.